On January 20-21, I participated in the second gathering of the Drylands Dialogue meeting held in Nairobi. 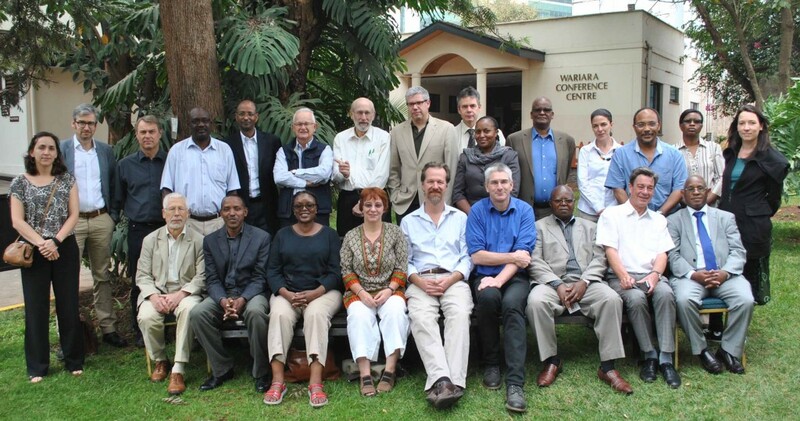 (Nairobi, 2015) The second gathering of the Drylands Dialogue meeting achieved the objective to identify priorities for research and development action plan. On January 20-21, the second Drylands Dialogue was organized by the African Studies Center (ASC), the CGIAR Research Program on Forests, Trees and Agroforestry- Gender (CRP FTA), and AEGIS. The two-day meeting on drylands agriculture-forests-agroforestry-commons nexus gathered some 25 multidisciplinary experts including Dr. Dennis Garrity, Drylands Ambassador, UNCCD; Caroline King-Okumu, IIED; Esther Mwangi, CIFOR; Tobias Haller, University of Bern; and hosted by Han van Dijk, ASC. The first Drylands Dialogue was held in Leiden, Netherlands on June 17, 2014. Thematically the two-day meeting was divided in a knowledge part (day I) and a policy-action part (day II). The key objective of the meeting was to build a research-development action plan, building on the results of the first meeting. The research part was devoted to (1) the climate-food security; (2) the education-economic development; and (3) the conflict-land tenure and natural-resource management.